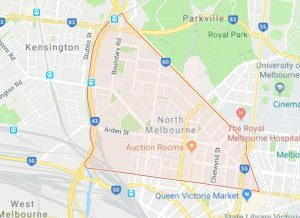 From Dudley St to Arden St, Chetwynd St and to the Royal Children’s Hospital precinct, Big Bin Hire supplies skip bin hire throughout North Melbourne for commercial and residential use. We have even supplied Wheelie Bins for events held at the Melbourne Zoo and in Royal Park. We have a wonderful relationship with the City of Melbourne who presides over North Melbourne and approves skip bin permits. Let us help you with your waste and recycling projects in North Melbourne today.